Sour grapes are not the food of choice among mixed martial art fans. That’s why they laid into light heavyweight Igor Pokrajac (Pictured) for complaining about his submission loss to Vinny Magalhaes at UFC 152. Shortly after Saturday’s defeat, Pokrajac took to his Twitter to vent about his defeat to the Brazilian jiu jitsu specialist. “If I wanted to do a grappling match I would go on a grappling tournament, this is MMA and UFC fans want a fight,” Pokrajac posted. 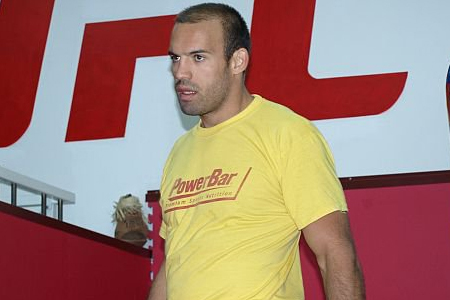 Ironically, it was Pokrajac who initiated the 2ndRound takedown against Magalhaes. Seconds later he found himself tapping out to a slick armbar submission. After a couple of long days, it appears Pokrajac has finally gotten the bitter taste of defeat out of his mouth. If Pokrajac was disappointed in his performance, think about those who laid good money on the 2-to-1 odds-on favorite to spoil Magalhaes’ return to the Octagon.